The Sweeterman gives you a brief chemistry lesson. Although it's only been a couple months since we premiered his playful Venis EP, Ramriddlz is already back with new tunes. 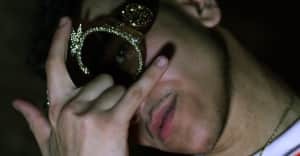 Last week, the Ontario native flexed his new title as the ruler of Mississauga on "SAUGOD," and this week, Ramriddlz tones the bravado down for the sultry and slippery "H2o." In "H2o," the Drake-approved Sweeterman employs sly and often-silly suggestive metaphors, breaking down a few chemistry terms to show off his skills of seduction. Over the downtempo dancehall-inflected beat produced by Jaegen and JackSpade, Ram whisper-sings, I get 'em wetter than water/ Dihydrogen Monoxide/ When I'm in those thighs/ It's chemistry. Listen below.